Kung Fu panda eyes flash and body with LED lights. 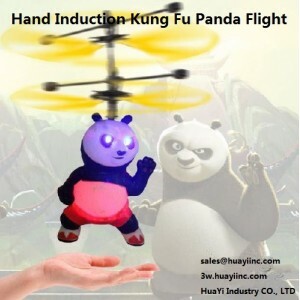 step 1: switch on the KungFu panda helicopter. 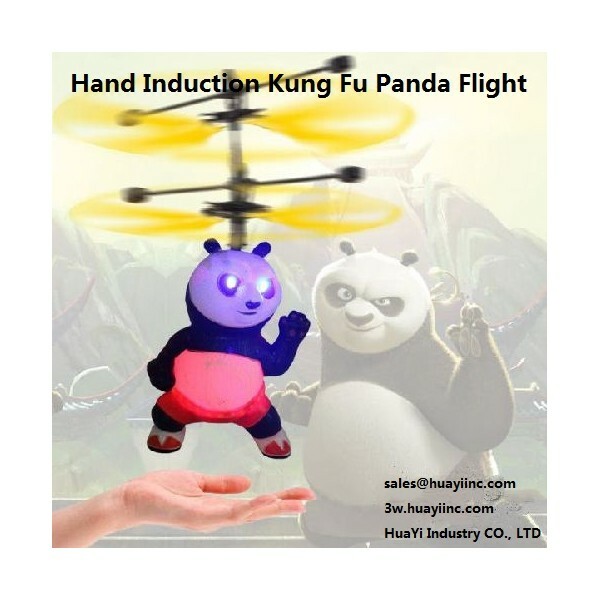 setp 2: the panda helicopter will auto spin in 3 seconds, thow it into air or place it on the floor and watch it fly in mid air, panda helicopter will descend when fly to certain height, putting your hand under panda helicopter, infrared parts will sense when meet obstacles, then panda helicopter will automatically fly up again, repeat these operations, enjoy flying fun! setp 3: catch the pand helicopter and switch off.